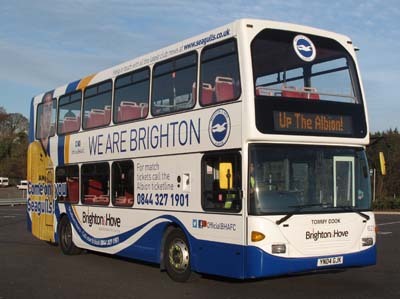 Connections with Brighton and Hove : Every Brighton and Hove Albion fan has heard of the great goal scorers Peter Warr and Bobby Zamora. 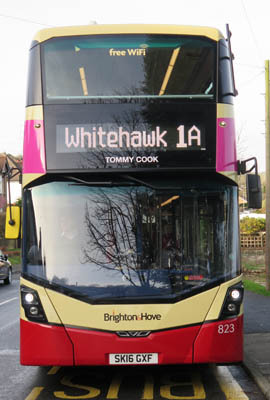 But the man who scored more league goals than anyone else in the club’s history was Tommy Cook. 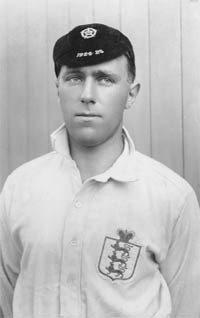 In a remarkable career, he scored 123 goals in only 209 appearances between 1921 and 1929. 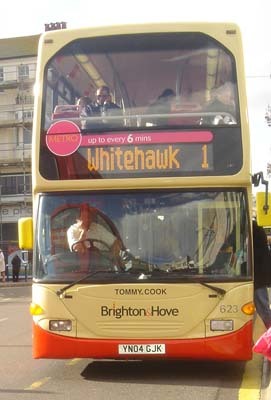 He scored more goals during another two seasons with Bristol Rovers. 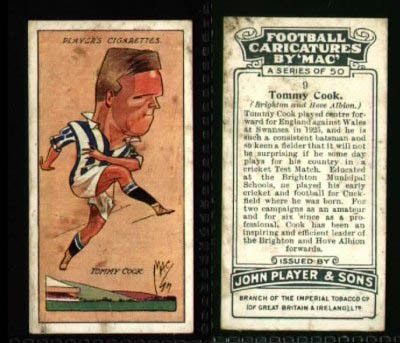 Born at Cuckfield in 1901, Cook was the first Albion player to be capped for England against Wales in the 1924/25 season. 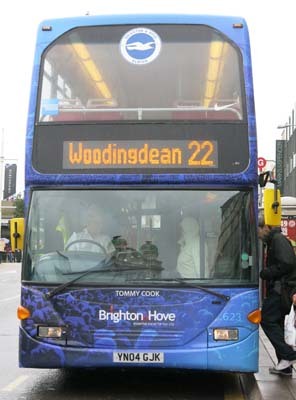 Before then he attended school in Brighton and during the First World War as a seaman he received a medal for saving a life. On returning to civilian life, he became a structural engineer and a fitter before starting his soccer career. 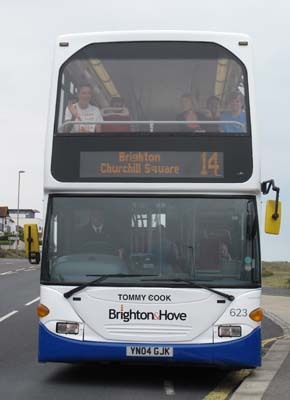 Cook also played cricket, which he preferred, for Sussex, scoring more than 20,000 runs and taking 80 wickets. He made 32 centuries and his highest score was 278. 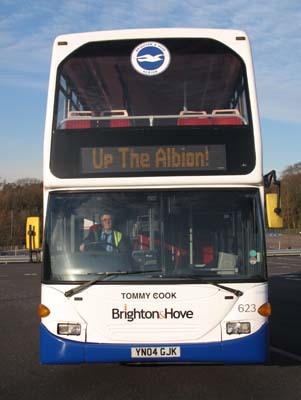 He came back to manage Albion after the Second World War but lost his job after a bad run of results. Sadly only three years later when dogged with ill health, he took an overdose and died. He was 48. 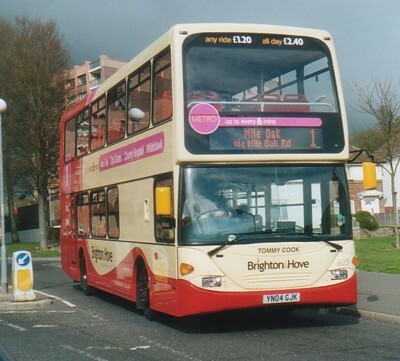 623 Scania Omnidekka carried name since delivery in March 2004, on METRO Line 1. 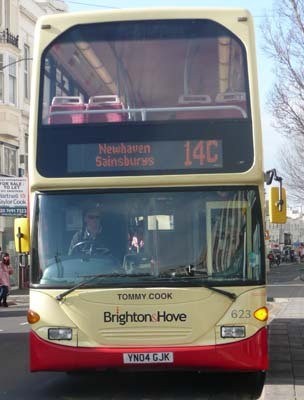 Metro 1 branding removed February 2012. 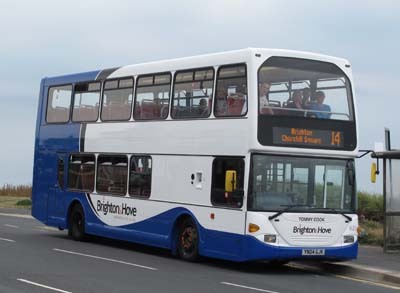 Repainted in Blue and White livery to promote Brighton & Hove Albion in July 2013 awaiting vinyls to be applied, Albion vinyls applied 26 November 2013. 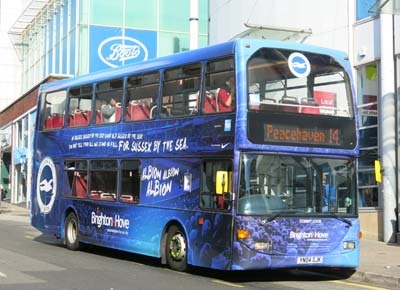 Revised Albion livery applied August 2015. 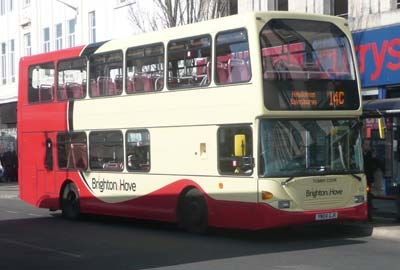 Name replaced with Matthew Grimstone in October 2015. 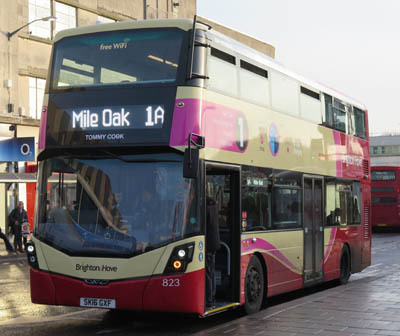 Name reintroduced on 823 Mercedes Streetdeck on Route 1 - from December 2016.